Makeup is tricky and if you didn’t grow up with an older sister then you’re left to forge your own trail of makeup mishaps and frustrations. Too much and it looks caked, too little and you won’t even see it. And don’t even get me started on perfecting liquid eyeliner. 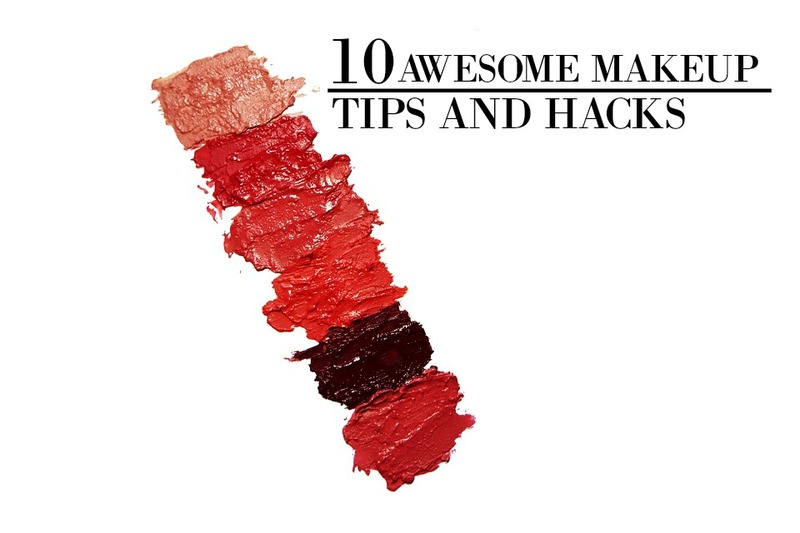 Now there are plenty of makeup tips and hacks out there, but not all of them may apply to us. And this is why I went through many lists to find awesome makeup tips for you guys. I was able to narrow down some awesome graphs from great lists that will give you the edge on beauty techniques and of course the basics. I really like finding awesome information for my readers so I hope you’re able to get some great tips and techniques from these infographics. First you need to know when to put on what. It can be a bit confusing, but once you get it down, it’ll be a piece of cake to apply skincare and makeup products. Now if you want something a bit less complicated then you’ll appreciate this chart. It’s easy to follow and remember which is great for first timers (and even those who are more experienced in makeup). I found this awesome infographic from Buzzfeed’s post 27 Charts That Will Help You Make Sense of Makeup. From Wake Up for Makeup. Also from Buzzfeed’s list of 27 makeup tips, I found this one great for those who are looking for the right powder. We all have different skin, some more oily and others more dry, and this graph shows you exactly what powder is great for you. I hate those moments you drop your eyeshadow on the ground or it just decided to crumble from a lot of use. But thankfully this chart will show you just how to fix that so your favorite color doesn’t go in the trash. Now whether you want to do a winged look or something more smokey, this graph is great to follow. I found this great one from Buzzfeed’s list of 15 Game-Changing Eyeliner Charts which is packed with great makeup tips. You Can Subscribe to Get Makeup! That’s right! No more going to the store every time your run out, VeganCuts will just send you a beauty box filled with the makeup you need. Pretty handy right? Now I found this awesome subscription from Buzzfeed’s post on 29 Awesome Things You Didn’t Know You Could Subscribe To, but you can also find it originally from Vegan Cuts. I’m really light skinned so finding the best foundation is a bit tricky. Usually I have to mix and match colors to get something.. well.. pale enough. But this chart is super helpful for those like me who have a hard time finding something that works for them. Now here’s a quick look at all of the makeup problems us women face and the makeup tips that can help fix them. I found this great one from Buzzfeed’s post on 47 Lazy-Girl Beauty Hacks and it’s definitely a keeper. Now this is probably one of the best makeup tips out there. There are so many brushes that it’s hard to know which ones you use for what. But this chart that I found from Buzzfeed’s list of 19 Eyeshadown Basics has it down. Now blush is tricky for my light skin tone too. If I put too much on and if it’s too dark, I look like a clown, plain and simple. But whether you’re pale like me or tanner, this guide (which I found from Buzzfeed’s post on 21 Beauty Tricks) on blush tones is great. Now whether you’ve just started out, could use a little help, or wanted to brush up (no pun intended) on some makeup tips, I hope this post was helpful for you. I really like finding great tricks and hacks for my readers and I know that when it comes to makeup, many of us can use all the help we can get. Now if you have an makeup tips yourself, let me know in the comments below! I’d love to hear about them! I need to know what colours should I wear for my eyes matching gold and black evening dress! I like to wear deep red matte lipstick.